Good life food. Product of USA. 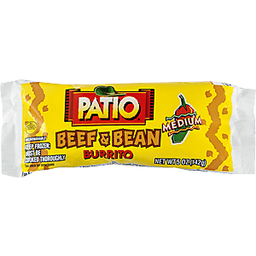 Great meal or anytime snack! 0 g trans fat per serving. US inspected and passed by Department of Agriculture. Microwavable. www.jjsnack.com. 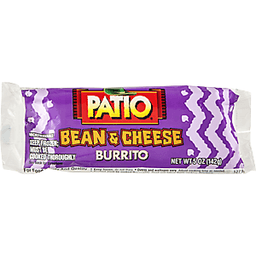 Great meal or anytime snack! 0 g trans fat. Microwavable. Partially produced with genetic engineering. www.jjsnack.com. 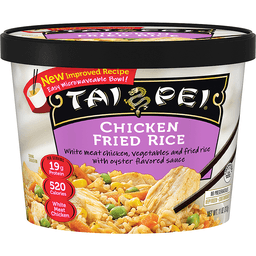 Flavored with beef and textured vegetable protein. No beans. Excellent source of protein. Microwave ready in 1:45. US inspected and passed by Department of Agriculture. Family owned since 1964. 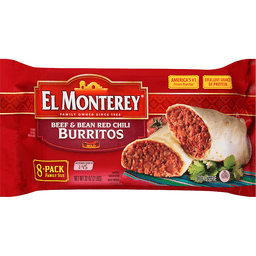 You Can Taste the Quality: Beef; Fresh baked flour tortilla; Authentic spices. I promise to bring you the best Mexican food, always. - Fred Ruiz, Founder. 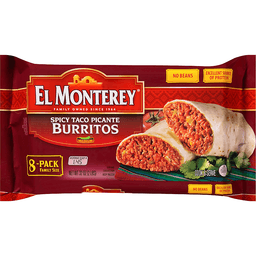 www.elmonterey.com. Satisfaction guaranteed. Facebook. 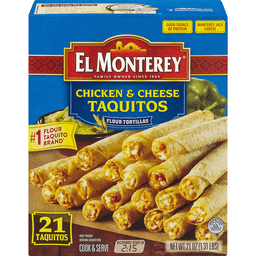 El Monterey® Taquitos Chicken & Cheese. Family owned since 1964. 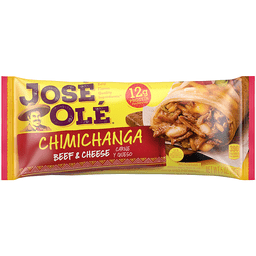 America's #1 flour taquito*. Real chicken. Real cheese. Good source of protein. Inspected for wholesomeness By U.S. Department of Agriculture. Cook & Serve. Microwaveable. Net Wt 21 oz (1.31 lbs). 'I promise to bring you the best Mexican food... always." - Fred Ruiz - Founder. You can taste the quality. Delicious chicken. Monterey jack cheese. Authentic spices. Fresh-baked flour tortillas. *Nielson Scan Data, US -XAOC (All retail outlets combined), Flour taquito $ volume by brand, Latest 52 weekend ending January 21, 2017. Certified 100% recycled paperboard®. Satisfaction guaranteed. Call 1-800-772-6474. Visit us at www.elmonterey.com. Dark meat chicken, cabbage, and carrots includes signature sauce packet. Appetizer for two. New! Inspected for wholesomeness by US Department of Agriculture. Bring the Experience Home: Craft your own menu, choosing flavorful starters, delicious sides and the bold signature meals you love. Served in minutes, our Home Menu lets you bring the perfect Asian dining experience home. For more information go to www.conagrafoods.com/mwcooking or call 1-800-298-4720. Questions or comments, visit us at www.pfchangshomemenu.com or call Mon - Fri, 9:00 AM - 7:00 PM (CST), 1-800-798-4720 (except national holidays). Please have entire package available when you call so we may gather information off the label. 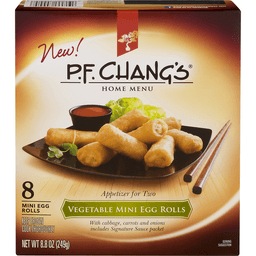 www.pfchangshomemenu.com. Find us on Facebook. Food you love. 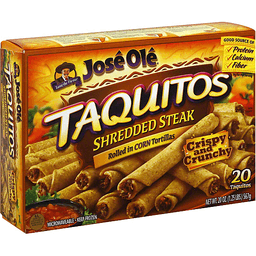 Jose Ole® Taquitos Beef . 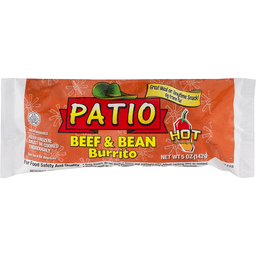 Taste the fiesta!® 6g Protein per serving. In corn tortillas. Crispy and crunchy. Microwavable. U.S. Inspected and passed by department of agriculture. Net Wt. 20 oz. (1.25 lbs.) 567 g. Please have this package available when calling. For more information Call us at 1-877-653-2181 Toll Free. 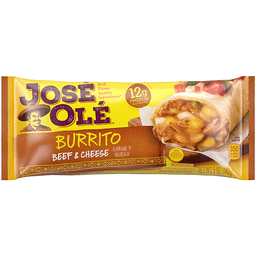 Visit us at www.joseole.com. 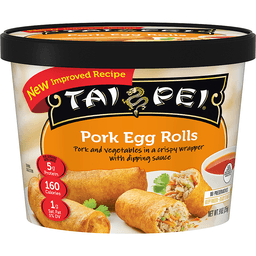 Tai Pei Pork Egg Rolls. 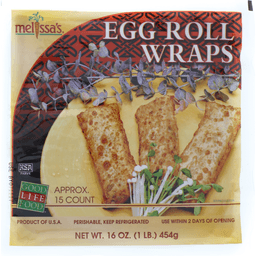 A savory combination of pork and vegetables rolled together in a crispy wrapper. Easily heated in the microwave or baked in the oven for a crispy snack. We’ve included our sweet and sour sauce for dipping. 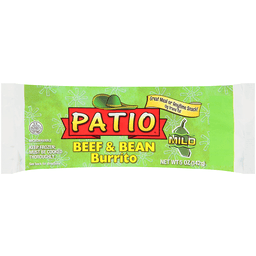 Free from preservatives, artificial colors and flavors. With cabbage, carrots, and onions includes signature sauce packet. Appetizer for two. New! Bring the Experience Home: Craft your own menu, choosing flavorful starters, delicious sides and the bold signature meals you love. Served in minutes, our Home Menu lets you bring the perfect Asian dining experience home. For more information go to www.conagrafoods.com/mwcooking or call 1-800-298-4720. Questions or comments, visit us at www.pfchangshomemenu.com or call Mon - Fri, 9:00 AM - 7:00 PM (CST), 1-800-798-4720 (except national holidays). Please have entire package available when you call so we may gather information off the label. 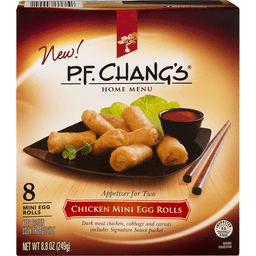 www.pfchangshomemenu.com. Find us on Facebook. Food you love.